You may not be aware, but SID’s annual display exhibition in Vancouver is happening all this week and it seems LG has got quite a bit lined up to present at SID 2013. The Society for Information Display’s (SID) showcases the future of display technologies with the latest and greatest products in TV, mobile, and other media devices. Not only will LG be displaying their 55-inch curved OLED TV at SID 2013, but of most interest will be a 5-inch OLED panel. However, this panel isn’t like any other display, it is constructed of plastic which makes it both flexible and unbreakable. LG seem to have addressed the main cause of heartache for mobile phone owners everywhere when they see their screen shatter after mistakenly dropping their device from their grasp. 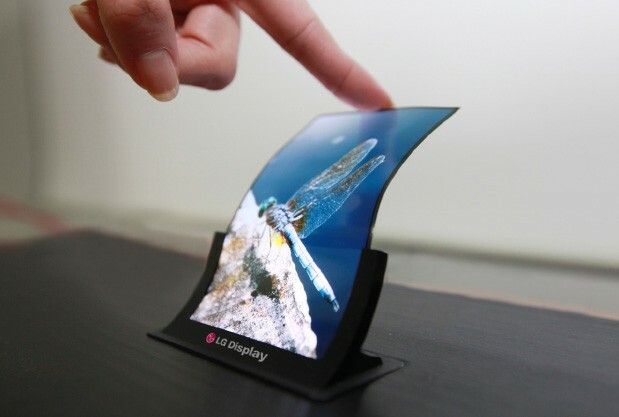 In addition to the flexible display, LG will also showcase 5-inch and 7-inch HD LCD panels based on Oxide TFT. This is considered the next generation of TFT technology, offering higher efficiency in producing thin, high transparency, low power consumption displays. The 5-inch HD panel will feature a 1.00mm bezel allowing an effectively borderless device to be produced, resulting in a lighter handset, consuming less power, and producing significantly less heat. SID 2013 will also see a 14-inch Quadruple HD panel for laptops – that’s 2560×1440 pixels – with the worlds first 7-inch Full HD panel for tablets that beats the 300 pixels-per-inch retina display on Apple’s products. LG seem to be at the cutting edge of display technology, and with the main consumption of battery life being the display on a device, discovering a method to reduce this consumption could be key in optimising devices to last even longer on a single charge. SID 2013 will be held in Vancouver, Canada from May 19 to 24. LG Display’s products will be showcased at Booth #1012. Impressed by LG’s offerings? Let us know in the comment section below.